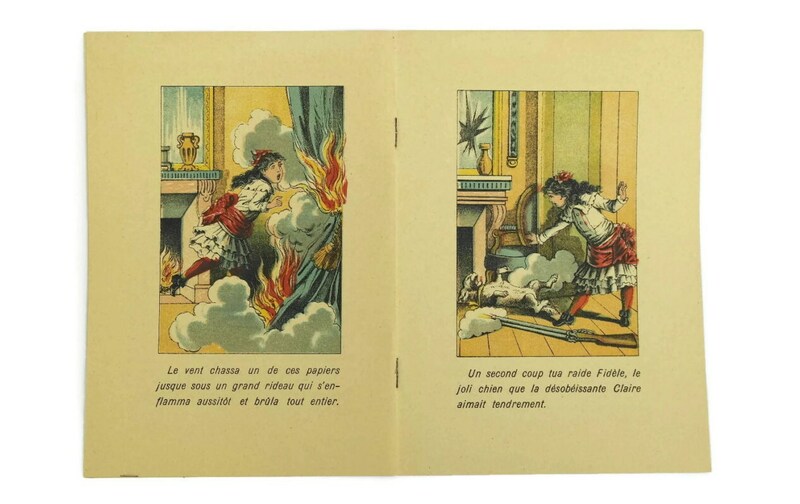 Antique French Fairytale Book for Children. Antique illustrated book by Pellerin Epinal. Serie A Histoire d'un nez cassé. 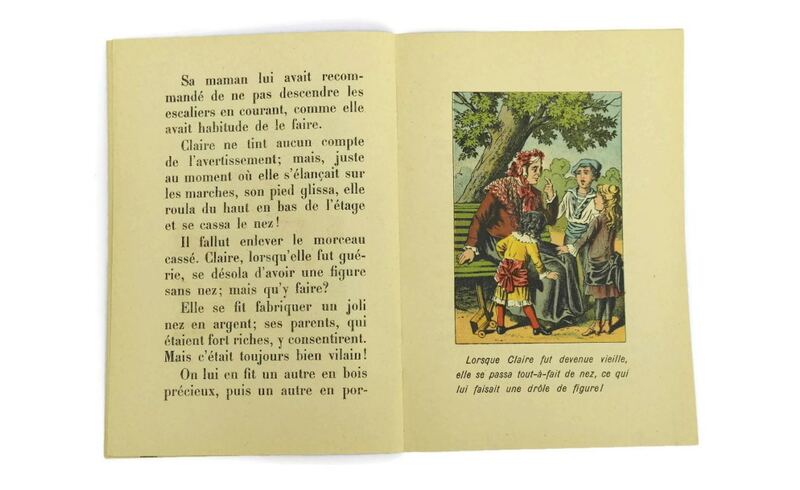 A lovely antique French children's book. It is part of a collection known as "Serie A" which children all over France loved and enjoyed. In 1796, Jean Charles Pellerin set up the “Imagerie d’Epinal” and popularized printed images on popular subjects rendered in bright sharp colours, sold in France in the 19th century. They owe their name to the fact that the first publisher of such images — Jean-Charles Pellerin — having been born in Épinal, named the printing house he founded in 1796, Imagerie d'Épinal. The expression image d'Épinal has become proverbial in French and refers to an emphatically traditionalist and naïve depiction of something, showing only its good aspects. 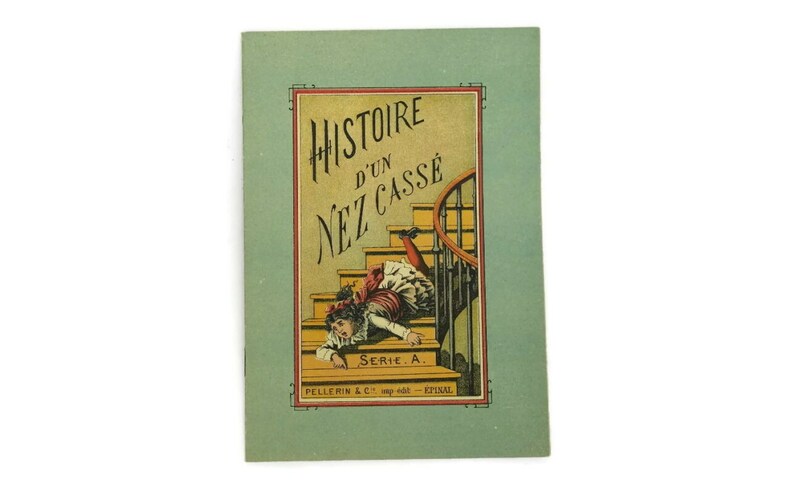 •	Title : Histoire d'un nez cassé (Story of a broken Nose). •	Printed in full color print on heavy paper. 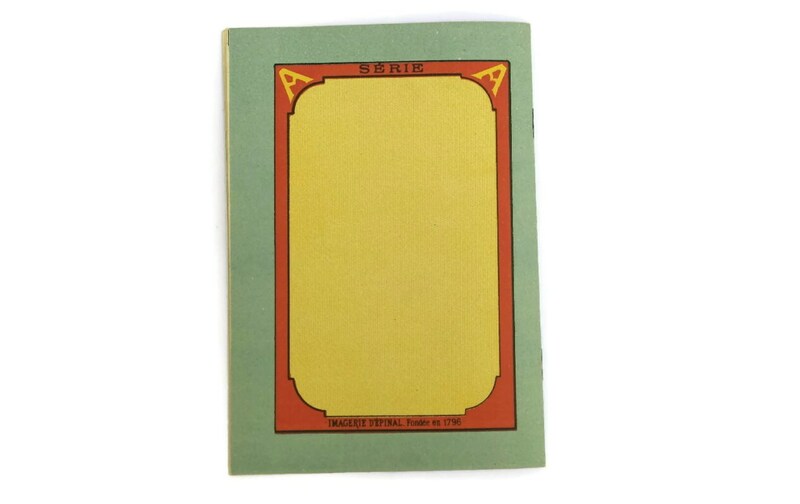 •	Soft cover book printed by the famous Pellerin of Epinal company. •	Interior has 8 printed pages. •	DIMENSIONS: 8" Long x 5 1/2" Wide (20cm x 14cm). •	CONDITION : very good, no tears or damage. •	Antique item printed in France. 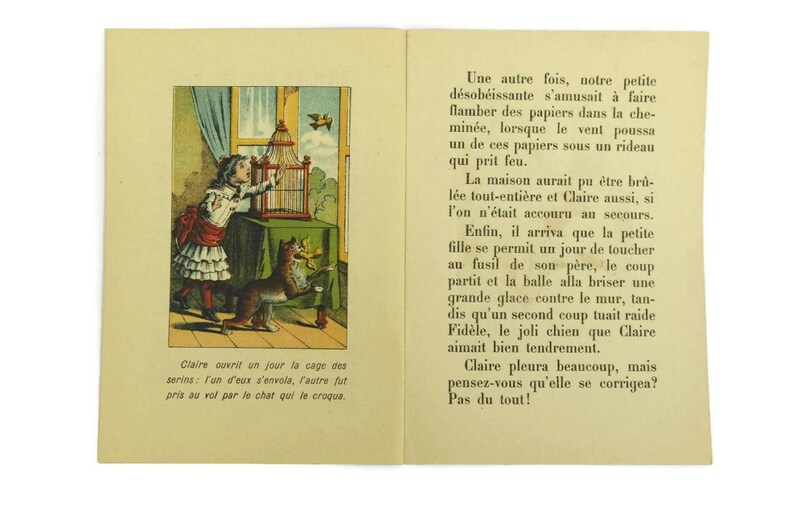 Item ref: Antique French Fairytale Book for Children. Antique illustrated book by Pellerin Epinal. Serie A Histoire d'un nez cassé.